In 1933 the Newfoundland legislature voted itself temporarily out of existence, ending 79 years of responsible government. The following year, Newfoundland accepted a constitution similar to those in place in the directly-controlled Crown colonies. A country voluntarily giving up self-government is highly unusual, yet many other societies also experienced a loss of faith in democratic institutions during the Great Depression of 1929-39. The roots of the fiscal and political crisis that led to the collapse of responsible government can be traced to the First World War. Paying for Newfoundland's war effort added substantially to the public debt. In 1914, when the war began, the public debt for the most part represented the cost of building and operating the railway. The war added approximately $35 million. At the end of the war, the price of fish fell. Though there were positive economic developments during the 1920s in the mining and forest sectors, the Newfoundland government could not meet its financial commitments without further borrowing. These commitments included running the everyday business of government, as well as the cost of maintaining payments on the debt. By the time the world was struck by the Great Depression in 1929, the debt was higher than the country could afford. Public relief to the destitute and debt payments absorbed almost all the government's tax revenue, and further loans had to be negotiated. Newfoundland's principal creditors, a syndicate of Canadian banks, placed increasingly restrictive terms upon these loans, and even then had to be encouraged to make the loans by the Canadian prime minister. By 1932, the Newfoundland government owed $97 million and faced bankruptcy. It could not maintain full debt payments out of revenue, and was unable to borrow any more money. This emergency was largely due to external circumstances, but the way it played out had much to do with Newfoundland's political culture. There are two factors here. First, the country's mercantile elite, as a whole, had never been fully convinced of the suitability of any form of democratic government for Newfoundland and Labrador. This had been the case since the 1830s. They viewed such forms of government as expensive, cumbersome and inefficient. Moreover, they gave power to people who lacked education and experience, and encouraged mercenary politicians to buy votes. As a result corruption and patronage had become allegedly widespread, let alone sectarian rivalries. There were not a few members of the elite who thought responsible government had been a curse to Newfoundland, not an blessing. As the crisis of the early 1930s deepened, with the possibility that the government might default on its debts, merchants and their allies became increasingly agitated and concerned about their own financial stability. They began to talk about suspending the constitution and having a "commission" put the country's affairs in order. "Water Street" merchants saw the sacrifice of responsible government as a small price to pay for financial stability. 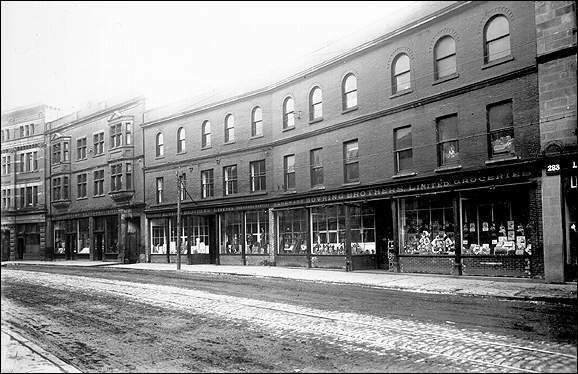 265-281 Water Street (Bowring Brothers, Ltd.), St. John's, n.d.
"Water Street" merchants viewed the government as expensive, cumbersome and inefficient. Courtesy of Archives and Special Collections (Coll-137, Photo 2.01.017), Queen Elizabeth II Library, Memorial University of Newfoundland, St. John's, NL. This drastic solution seemed credible and appropriate to many Newfoundlanders because responsible government had itself become discredited as a result of the behaviour of political leaders, who seemed unable to deal with the crisis that began to engulf the country after 1918. The 1920s were a period of remarkable political instability, with some administrations lasting only days before defections and shifting alliances brought them down. Newfoundland politicians were no more corrupt than those elsewhere, but a few instances of misappropriation of government funds added to the perception that Newfoundland needed a rest from allegedly corrupt politics. 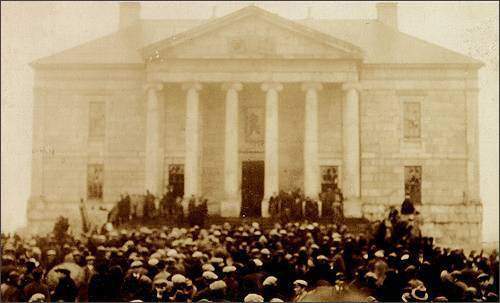 By the early 1930s, Newfoundlanders of all classes had become convinced that the political system had to be changed. 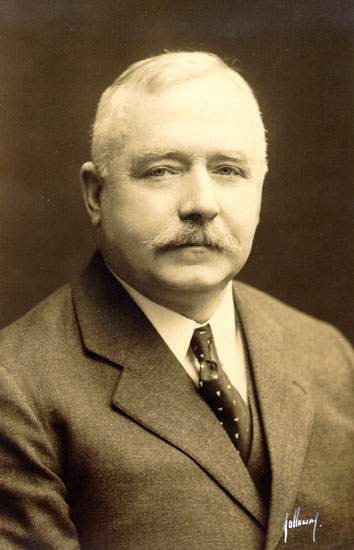 Prime Minister Richard Squires' government collapsed in 1923 after accusations of the theft of public monies. An independent investigator, Thomas Hollis Walker, recommended criminal charges against Squires and others. His report convinced many citizens that politicians were indeed corrupt, and strengthened the case of those who argued that partisan politicians were to blame for government indebtedness and alleged waste. But Squires' opponents seemed little better - if not corrupt, they were certainly class-biassed. The pro-merchant government of Walter Monroe, which succeeded Squires in 1924, promised to restore sound business principles to government. Thus Monroe abolished the income tax paid by the wealthy and raised the import duties on basic items of consumption. Such actions alienated many voters, and allowed the reelection of Squires in 1928. Squires' first government collapsed in 1923 after accusations of the theft of public monies. From Richard Hibbs, ed., Who's Who in and From Newfoundland 1930 2nd ed. (St. John's, NL: R. Hibbs, 1930) 53. Print. Squires' second government was again infected by corruption, and his finance minister Peter Cashin resigned in 1932. The Opposition took advantage of the situation to organize a demonstration. Merchants gave their employees a half-day holiday to attend a rally protesting the Squires government. The demonstration turned into a riot, in which a crowd of protestors broke the windows of the Colonial Building, forced their way inside and ransacked it. Squires barely escaped without injury, and resigned as prime minister. The riot of 1932 brought down the Squires government. Courtesy of The Rooms Provincial Archives Division (A 2-160), St. John's, NL. People in the crowd had their own agendas and were not simply the tools of politicians. Unemployed, poverty-stricken, they deeply resented apparently corrupt politicians taking money from the treasury, while they suffered the brunt of the Depression. The collapse of trade had left many without work, public relief payments were low, and nutritional diseases were rampant. It is not surprising that in such a setting people turned to direct action to force the government to address their suffering. Voting was not the only method ordinary people possessed to effect political change; crowds in the street threatening violence could bring down a government or get food for those who were in need. Apart from the mercantile elite, a few prominent people such as the philanthropist Wilfred Grenfell, and the labour leader and politician William Coaker, also advocated an end to politics and the appointment of "commission" to take the harsh measures necessary to deal with the country's problems. Politicians wasted government money on buying votes to get elected, they argued, so only a government that did not have to worry about getting elected could take the painful measures that were needed. During the election that followed the 1932 riot, Frederick Alderdice - a merchant - promised that if elected, his government would examine the possibility of suspending the constitution and having a commission administer the country until conditions improved. His party won the election, but it was not he who conducted the investigation. 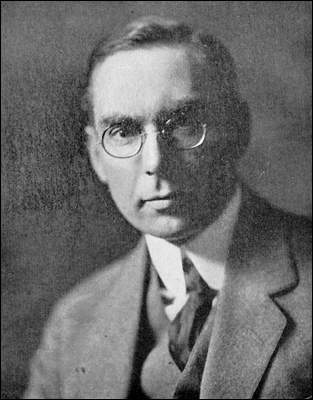 Alderdice was Prime Minister of Newfoundland from 1932-1934. Courtesy of The Rooms Provincial Archives Division (A 23-101), St. John's, NL. Alderdice found that he could neither reduce expenditures nor raise further loans, and that the banks were imposing impossibly severe restrictions. The government therefore proposed a partial default - that is, it would reduce for the time being its debt payments. The British and Canadian governments immediately moved to prevent this happening. Canada thought its dollar - which Newfoundland had used since 1894 - and Canadian banks would be harmed. Britain feared for the credit of the empire as a whole. Thus Canada and Britain agreed to help fund Newfoundland's debt payments pending the report of an imperial royal commission of enquiry. The royal commission consisted of the Scottish Labour peer Lord Amulree, who was chairman; the Canadian industrialist Charles Magrath, nominated by the Canadian government; and, nominated by the Newfoundland government, the Canadian banker Sir William Stavert. The royal commission collected evidence in Newfoundland and Canada, and after consultations with the British government, published its report in November 1933. Responsible government should be suspended and the country administered by an appointed "commission" until such time as two conditions were met: First, Newfoundland should be once again "self-supporting", and the government's budget was balanced; second, there should be a demand from the people for a restoration of responsible government. In the meantime, bankruptcy would be prevented by reducing payments on the public debt, as part of an overall rescheduling of the debt guaranteed by the British government. Bondholders would be guaranteed their capital, but less in the way of interest. Since financial intervention of this kind was incompatible with responsible government, the existing constitution would have to be suspended. Its replacement would be an appointed "commission of government." The report was widely praised. Many Newfoundlanders had lost faith in their democratic institutions, and felt that a price had to be paid in exchange for British aid. The poverty and violence engendered by the Great Depression threatened a collapse of order, and many citizens welcomed anything which promised security of person and property. Few voices questioned the wisdom of ending responsible government - though had Newfoundlanders known how long the Commission was to last, there might have been more voices of opposition. The British government insisted that Alderdice should not hold an election or referendum on the issue, but should have the legislature request the Crown to suspend the constitution and implement Amulree's recommendations. Alderdice did as he was told. On 16 February, 1934, responsible government came to an end when the Commission of Government was sworn in. For other related articles view the Government and Politics Table of Contents Collapse of Responsible Government section.